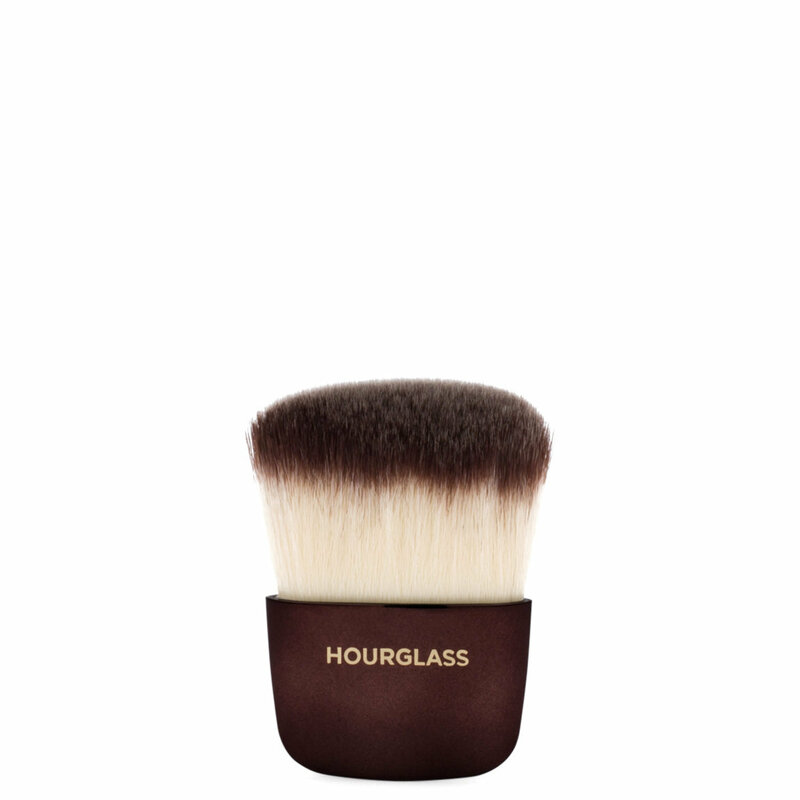 Evenly and smoothly disperse Ambient Lighting Powder over your skin with this densely packed, cruelty-free brush. Ambient Powder Brush features ultra-soft, high-grade Taklon bristles that bend and flex with the curves of the face, distributing a super-fine veil of powder without any cakiness. Sweep Ambient Lighting Powder over the skin with gentle strokes. Clean brush occasionally with mild soap and water. Lay flat to dry. I first grabbed Ambient powder in dim light because I tried it at the store and it looked really beautiful on my skin. However, when I went home and applied the product myself I didn't like it as it looked too dark (used zoeva powder brush to apply), then I switched to wayne goss's air brush, it looks better but still not the best, and finally I decided to give this Ambient powder brush a try, and I am so glad I did, it works perfectly with all ambient powders and I highly recommended everyone to give this brush a try if you already have the ambient lighting powder. I bought this brush solely for my Hourglass powders. It works well with these. The brush is soft, dense and kind of flat (and thick). It picks up the right amount of powder, you only need to swipe it over your face. I also use it with my Charlotte Tilbury powder and YSL luminous powder. These are light airy powders as well. All in all recommended for a nice dusting over your face without applying too much or too little. This is a really nice brush. It is really soft and applied the ambient powders very well. I love the little brush bag it came with. I purchased this along with the ambient light palette just because, but it’s decinitely not a “need” other brushes in your collection can apply the powders just as good. This is a fabulous brush to take along during the day. I use it with both my Charlotte Tilbury and Hourglass pressed powders. It provides just a dusting of luminous powder, not cakey. The brush is flat, soft and dense, pricey but worth it for the effect it provides. The brush is fabulous at picking up just the right amount of product and smoothly and evenly applying it to the face. A total splurge - but I'm glad I have it!! !